The Global Voices community demands justice for seven free expression advocates who are facing trial in Morocco due to their advocacy. The seven advocates have sought to defend human rights, hold authorities accountable to the public, and uphold rule of law in their country. Five have been charged with “threatening the internal security of the State” and two face charges of “receiving foreign funding without notifying the General Secretariat of the government.” We call on the Moroccan government to stand by its commitments to international human rights agreements and drop all charges against these seven individuals. Among those charged is Hisham Almiraat, a medical doctor and long-time member of our community. We cannot remain silent in the face of this threat to our friend. 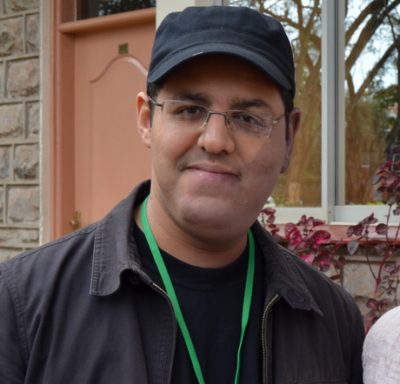 Hisham has had a leading voice in Morocco’s blogosphere for nearly a decade. He co-founded citizen media projects Talk Morocco and Mamfakinch, and served as Global Voices’ advocacy director. Balancing profession and passion, Hisham has spent many years working to improve the lives and well-being of Moroccans, both as a civil society advocate and as a medical doctor. Like other media and human rights groups around the world, we fear that this case represents an attempt by the Moroccan government to silence those who are critical of its policies and practices. We see this not only as a threat to our friend and colleague, but also to our broader mission. As a community of bloggers and activists from over 160 countries, we invoke the universal human right to free expression each day, as we tell stories from underrepresented communities around the world.